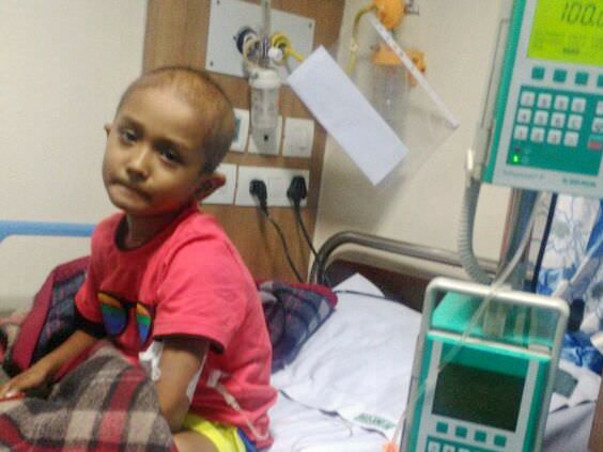 5-year-old Prabhas is an active little boy when his pain is not overpowering him. He has a crippling fear of injections when anybody approaches and talks to him. His pain is evident on his face when he tries to move around or lie down. He has been diagnosed with High Risk Neuroblastoma Cancer Stage IV Disease. It was 3 and half months back, when Prabhas was suffering from fatigue, loss of appetite and continuous swelling in stomach which has brought to serious concern. He has been consulted to doctor, doctor have given medicine for initial 5 days with the saying that it is normal Gastric pain everything will be fine, but the situation was still one and the same (hardly any improvement was seen). Then he was consulted to other doctor he also said the same thing and given medicine for few days (again no improvement was found). 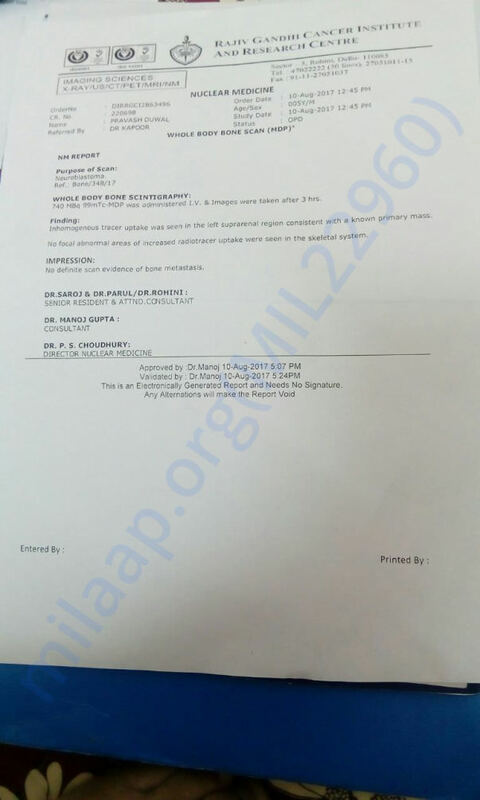 After that Prabhas has been taken to another hospital where the doctor has prescribed for medical test and ultrasound then this severe case of CANCER at stage IV was detected which was beyond imagination for his parents and it was hard to except that little child looks normal and happy from outside, but he is slowly succumbing to this disease on the inside. Then it was advised by doctors to take him to Rajiv Gandhi Cancer Institute and Research Centre, New Delhi, it is government hospital where he will get right treatment in least cost. Prabhas’s parents have travelled all the way from Nepal to India with the hope to get right treatment for their child. After proper medical checkup and consultation at Hospital Rajiv Gandhi Cancer Institute and Research Centre, New Delhi. The family got to know that it is private hospital and the cost of treatment is too huge. They were not in a financial position to arrange the funds and bear the cost of treatment. This has put Prabhas life at risk. He needs our valuable support to stay alive. 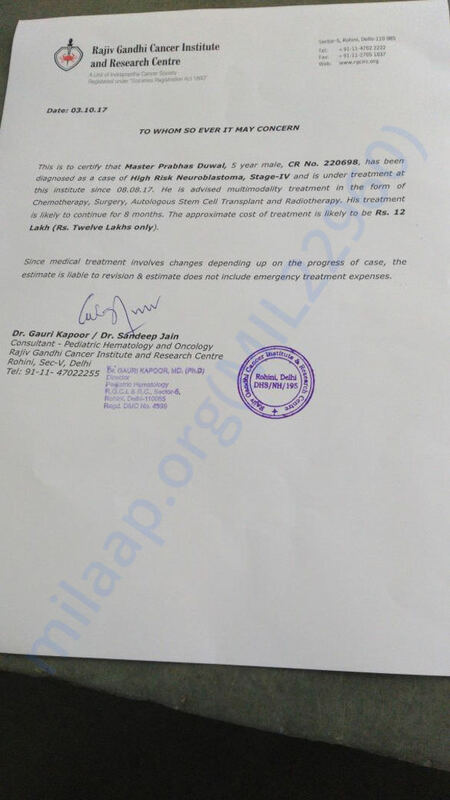 In order to control the disease, the doctors have prescribed Chemotherapy, Surgery, Autologous Stem Cell Transplant and Radiotherapy and it’s a continuous treatment of 1 year with an estimation cost of round 10 Lakh. Prabhas is undergoing an initial phase of treatment from Rajiv Gandhi Cancer Institute and Research Centre from past two months. He has been kept under keen observation. Thank you so much for your blessings, love support so far. Please keep sharing and supporting us. This is to update that Prabhas surgery was successfully completed on 2nd Nov. After the surgery, he had undergone a set of chemotherapies which is successfully completed by end of January 2018. Now next phase of treatment is stem cell transplant which is already in process. 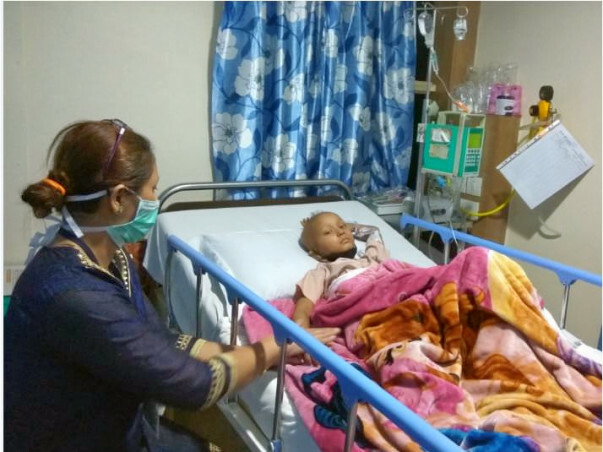 So as a part of his treatment, we are partially withdrawing fund of 10 thousand into the bank account of- Narayan Kumar. This will be handed in the form of check/card swipe at Rajiv Gandhi Hospital as part of payment of medical bills/ cost of treatment. Thank you once again for all the blessings and help so far, please keep sharing it further, we are thankful to each helping hands it is counting and making a huge difference in our campaign and saving the life of a child. Will keep you posted. So as a part of post-surgery expenses, we are withdrawing partial fund of 50000 into the bank account of Satya Sai Srinivasarao Mendi. The amount will be used to pay expenses held in surgery and for medical purpose. Thank you so much for all your blessings and support so far, please keep supporting. It has helped us a lot in this long journey so far, at each and every step your love, blessing, and prayers have given us an immense support. This is to update that Prabhas surgery is successfully completed on 2nd Nov. 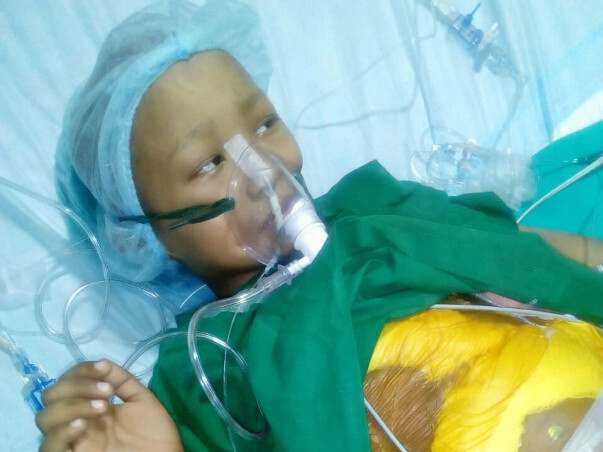 The operation was very critical and lasted for 14 hours with the removal of one Kidney. As a part of his treatment process we are partially withdrawing fund of 170 thousand and 700 USD dollar into two bank accounts- Narayan Kumar and Satya Sai Srinivasarao Mendi. This will be handed in the form of check/card swipe at Rajiv Gandhi Hospital as part of payment of medical bills/ cost of treatment. As the surgery cost involved expenditure of 3 lakh, so the amount is required as initial cost of operation is only paid and rest of the amount is pending. Thank you once again for all the blessings and help so far, please keep sharing it further, we are thankful to each helping hands it is counting and making a huge difference in our campaign and saving life of a child.